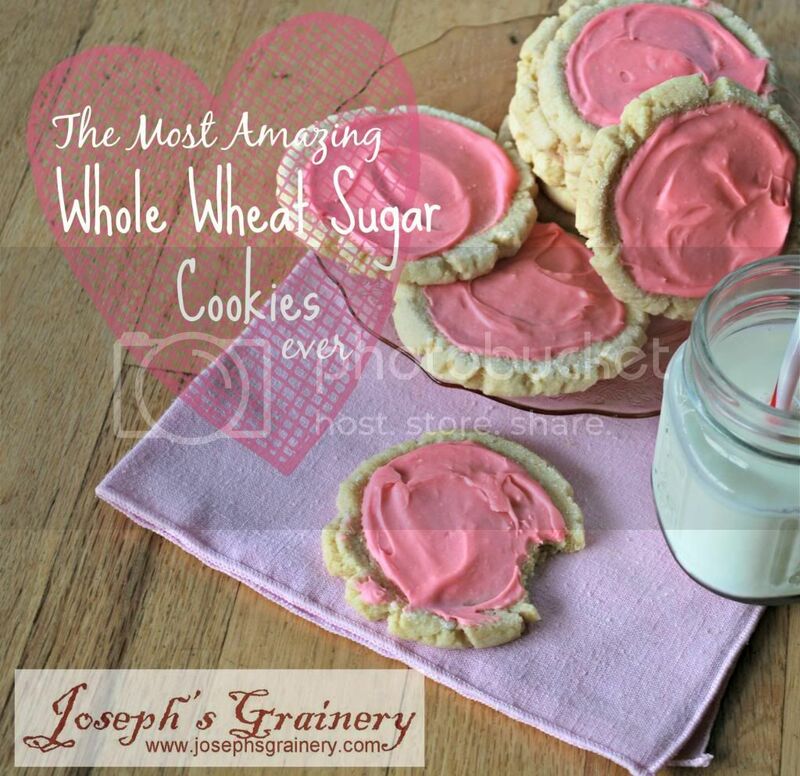 Yes, these are simply the best Whole Wheat Sugar Cookies you will ever taste! 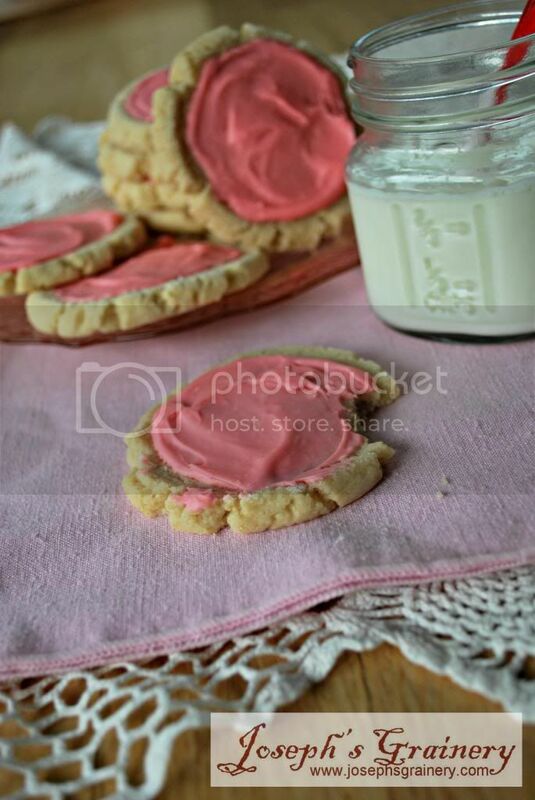 My MaMa's been on a mission to find a knock-off recipe of her all time favorite cookie, but it had to contain Whole Wheat Flour, so she tried whole grain-ifying many different recipes, but it wasn't until she found a recipe on Vintage Revivals, and then made it her own, was she satisfied with quest. I will attest. These cookies are amazing...I took the bite out of the cookie in the picture. Mmmmmm...good! Cream together the butter, oil, sugars, water, eggs and lemon juice. Gradually add the dry ingredients to the butter mixture. Mix until everything is combined. The dough should be a bit crumbly and not sticky at all. Roll golf ball sized balls of dough and place on a cookie sheet. Place 1/4 c sugar and a pinch of salt (in addition to the ingredients listed above) in a dish. Stick the bottom of a glass in it. Firmly press the glass into the center of each dough ball. Bake for 8-10 minutes. 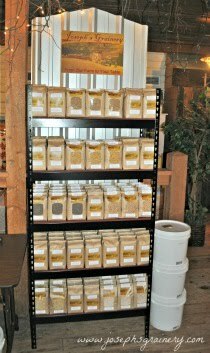 Move cookies to a wire rack to cool. Place the cream cheese and butter in a medium mixing bowl and use a spatula to soften them. Once the mixture is well blended and smooth, sift in the powdered sugar and continue beating until smooth. Frost the cookies, once the cookies have completely cooled.